With the beginning of the spring semester all of rocket team is back in Cambridge and back at work. It’s been very busy! In the last two weeks most of the remaining design decisions have been made and hardware has begun appearing in lab. 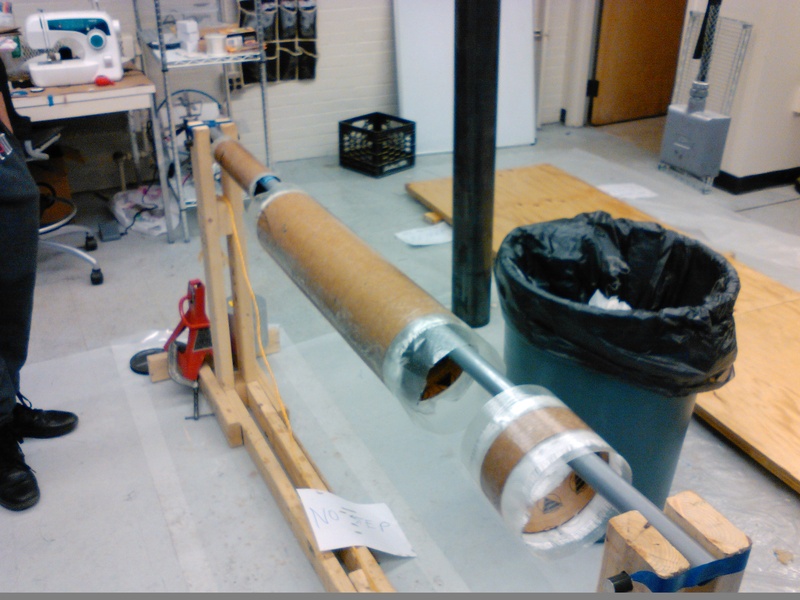 The Structures subteam has been actively pursuing the ability to manufacture composite tubes in-house. Some of the initial results look very promising. Here is the backup recovery section, the avionics bay switchband, and the pilot parachute mortar tube. Speaking of the pilot chute, the design for our parafoil deployment mechanism has been finalized and wind tunnel tested. The finalization of the hatch design has allowed the team to begin designing the pilot deployment system. All of this is leading up to the completion of the very first Therion Rocket. With all of the pieces coming together Project Therion is well underway to its first flight test.